For 2018, the all-new Aviator comes with a LED headlamp with ‘Aviator’ signature inside it and position lamp, 4-in-1 lock with Seat Opener Switch, metal muffler protector and front & retractable rear hook. Moreover, Aviator now also gets a metal muffler protector, a front hook and retractable rear hook adding to the user’s convenience. The new 2018 Aviator is now available in NEW Pearl Spartan Red colour which joins the existing three colours – Pearl Igneous Black / Matte Selene Silver Metallic / Pearl Amazing White. The 2018 Aviator comes in three variants (standard, alloy drum & alloy disc) and price starts at INR 55,157 (Ex-showroom). Speaking about the 2018 Aviator , Yadvinder Singh Guleria, Senior Vice-President, Sales and Marketing, Honda Motorcycle and Scooter India Pvt. Ltd, said that the Company is leading India’s scooterization and is continuously extending its advanced upgrades across the scooter range. 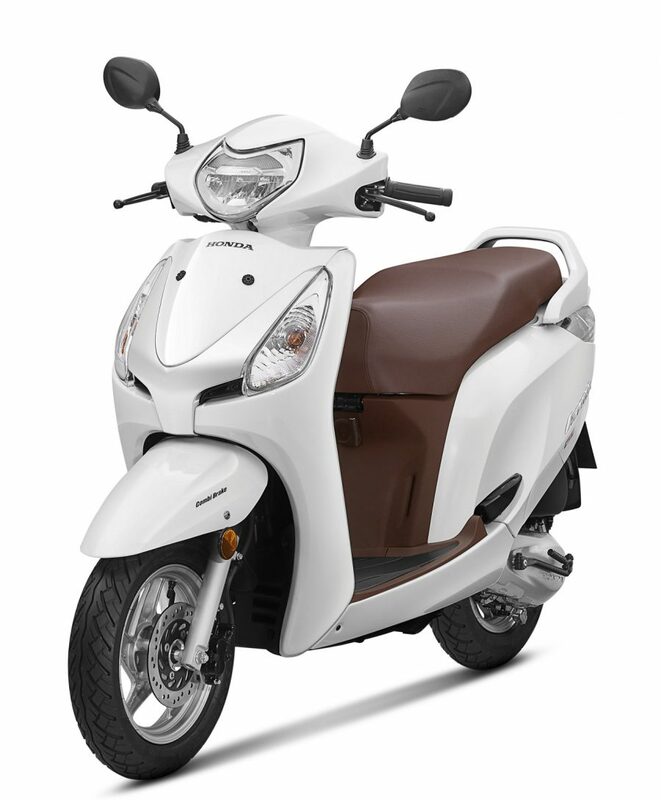 Guleria further said that now that Honda has added new attractive and convenient features, the 2018 editions of stylish Aviator & compact Activa i are ready to hit the road with enhanced comfort.